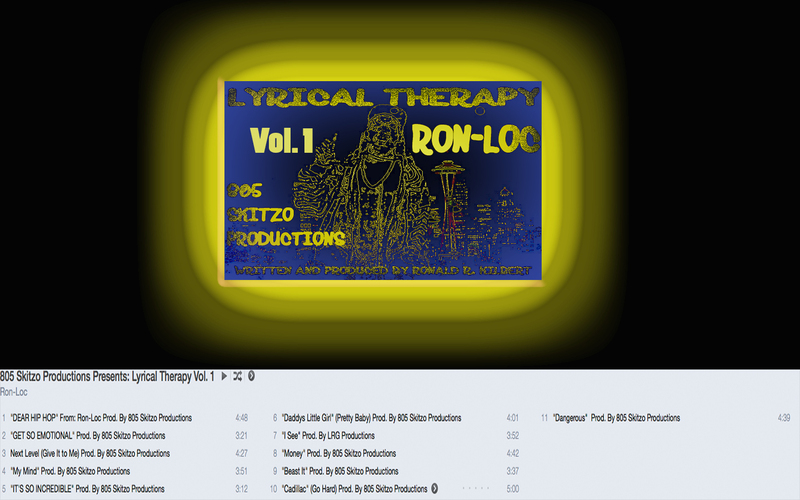 When it comes to #Detox albums in terms of musical coping 805 Skitzo Productions Presents: Lyrical Therapy Vol. 1 is at the top of my audio food chain. Ron-Loc‘s the main artist featured in this version of the series which was recorded in early 2009. Art By 805 skitzo productions. This was the first of what is many of strategically planned lyrical albums by Ron-Loc to come. The majority of the lyrics for this album were freestyle (not written) and intended to be calming and commercially driven by 2009 pop culture.